With November fast approaching, Advent will soon be upon us. While we are not there quite yet of course, if people and families are to be prepared or it, they need time to think about how they might observe it. In view of that, I wanted to begin to make a few suggestions around some of the customs of Advent. There are, in fact, a great many popular customs associated Advent and one of the most widely adopted and loved customs of Advent is surely the Advent wreath. While not Catholic in its origins, it nonetheless is easily adapted to Catholic purposes and is a beautiful way to mark the progression of Advent to the Nativity. 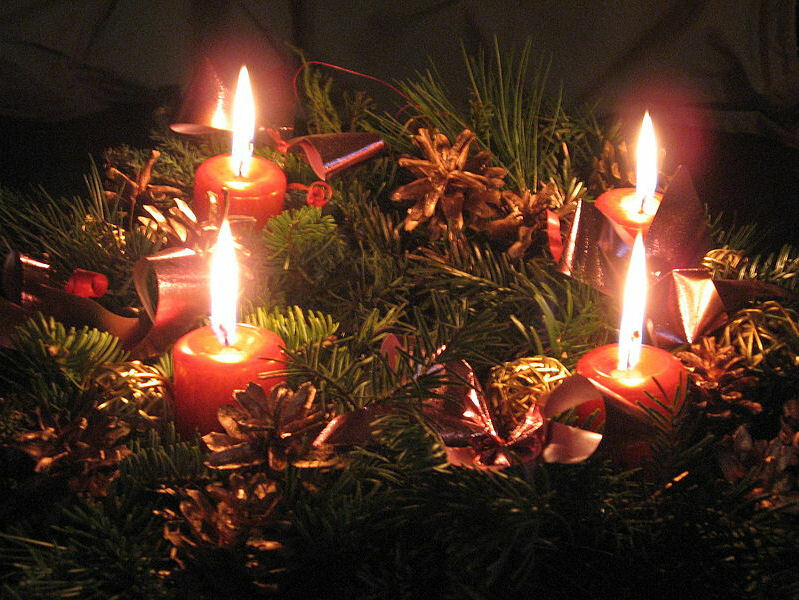 There are a number of variations on the Advent wreath. 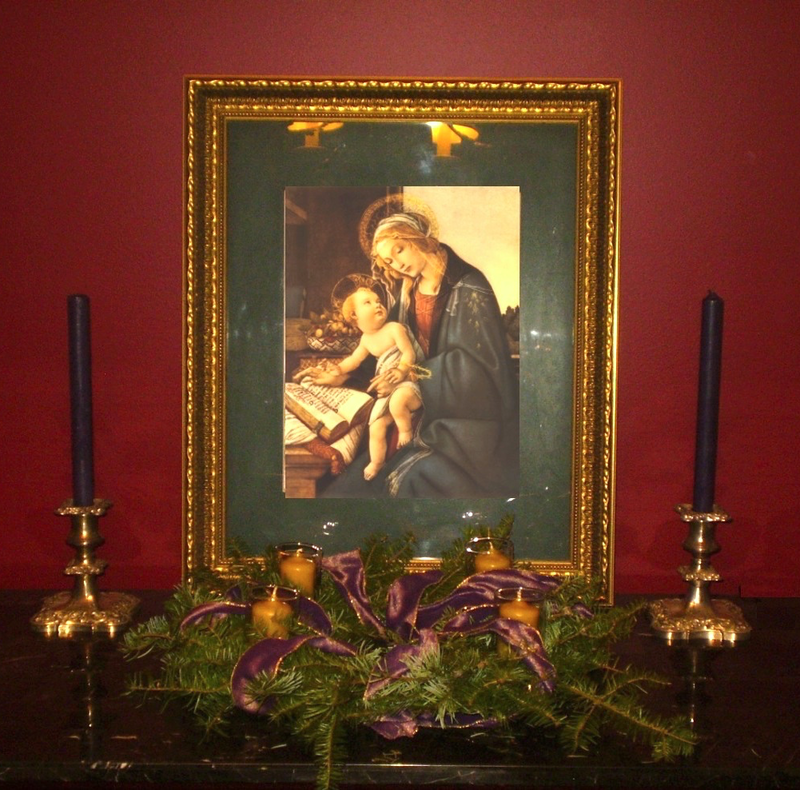 In North America it is popular to use three violet and one rose candle, symbolizing the respective liturgical colours of the four Sundays of Advent. In Germany, red candles are instead used. Regardless of the particular approach you adopt, it is important that we use items of beauty and quality. These things not only inspire us and uplift us, they also speak to us of the dignity and value of the sacred mysteries. While we are accustomed to thinking this way with regard to our churches, my own recommendation then is that, wherever possible and practical, we should likewise bring this over into the our "domestic churches" as well. Whatever you use therefore, let them be items of beauty and quality. One of the reasons I am precisely approaching this subject with Advent still a few weeks away is so that people can plan for this. It might be asked, why worry about this? Surely the symbols are enough? While it is true that the symbols have their own inherent value, we shouldn't take a reductionist view of these things. The quality (and beauty) which we bring to these things speak to the importance we give to them. We should always bring the very best we can offer. So then, how might this be manifest? For my part I'd recommend the use of real greenery for your wreaths. In addition, beeswax candles, instead of paraffin candles, would also be very good. Such candles are not only natural and traditional, they are also ecclesiastical in nature and have a wonderful scent -- and here it is important to remember the positive impact that is to be found in the engagement of the various senses. Beeswax candles are most commonly found in unbleached form nowadays, but if you feel like you'd like to have the liturgical colours of Advent represented, as in in the North American tradition, there are other ways to accomplish this. One way is seen above through the use of coloured ribbon. For my own part, given North America's consumerist rush into Christmas, I prefer to utilize a wreath whose colours are more clearly distinct from those associated with Christmas itself, but this is just my personal preference and there is certainly nothing wrong with opting for the Germanic tradition.